Tealive has confirmed in a recent Facebook post that it “will maintain status quo pending further direction from the courts”. It also thanked its customers for their support and said it looks forward to continue serving them. This comes as rumours have been circulating online that Tealive is shutting its outlets effective immediately. According to Discover KL and The CanLaw Report, the Court of Appeal has dismissed Tealive’s stay of execution and “the bubble tea brand must now close up shop immediately”. “Now that The Court Of Appeal has had its say, Tealive will be no more,” Discover KL reported, adding that it is “time for a new wave of bubble tea brands to step up their game”. Berita Harian also reported on the news but has since removed the article. In a statement to A+M, Tealive’s owner Loob Holding said it has been informed that the Court of Appeal has dismissed its application to stay. “The company has instructed its lawyers to file for leave to appeal to the Federal Court against the Court of Appeal’s decision given on 27th June 2018 and it has been informed that the application had been filed yesterday,” Loob Holding said. It added that its lawyers have been further instructed to make the necessary application to the Federal Court to maintain status quo and the said application was filed earlier this morning. Earlier this week, the Court of Appeal granted an injunction filed by La Kaffa International against Tealive, from running a similar business. 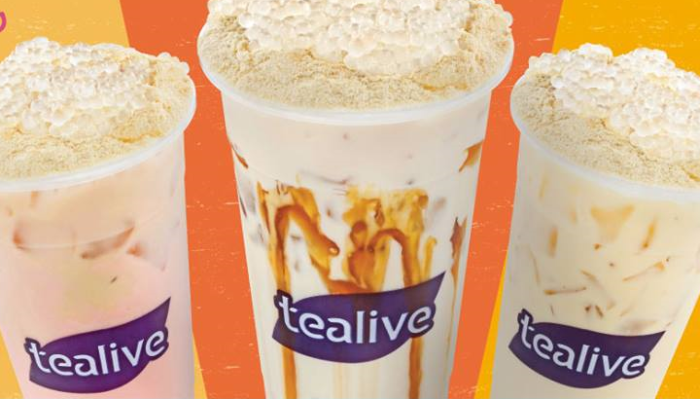 The court said the injunction was based on “breach of post-franchise terms and the return of its properties” and Tealive is to cease operations. In 2017, Loob Holding gave up hold over the Chatime franchise due to disputes over business and operational matters with La Kaffa International before launching Tealive under 161 of its outlets. Since then, the company has launched the Tealive brand in Australia, Vietnam, India and China. CEO Bryan Loo told A+M in a previous interview that it is committed to expanding into six more countries in 2019 and have 1,000 stores in the region by 2020, mainly through its direct and franchise model. It is currently working with Melbourne-based independent agency The Sphere Agency as its global strategic partner. Maybank brings light to needy communities with solar-powered light bulbs as part of its community initiatives called Project H.E.A..
Celebrity couple Sean Lau (劉青雲) and Amy Kwok (郭藹明) bring their sweet life on screen via EPS' new TVC "Hurry up but no rush” (唔使急最緊..
To avoid sending confusing messages to consumers, it is important for a company to have a single voice. Senior industry profession..